The Marttiini Basic Filleting Knife is a good basic filleting knife from Marttiini that combines the great INOX stainless steel blade with a very practical, finely textured plastic handle that provides a good solid grip. 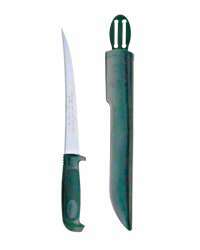 The green plastic handle is extremely practical and this combination delivers a high performance and very practical filleting knife at a realistic price. 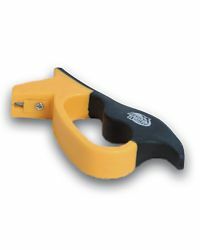 The basic Marttiini filleting knife comes with a simple plastic sheath to protect the blade and keep it safely stored when not in use. The 6" blade on the Marttiini basic filleting knife is perfect for most trout and will also handle larger fish such as sea trout without much hassle. Made in Finland, Marttiini knives are made by a company with a proud tradition of making quality knives, not mass produced in Asia. 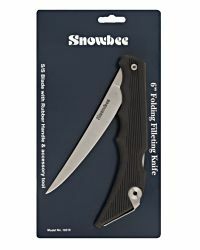 Even though this is their basic filleting knife it still has the same high quality blade as the more expensive models.